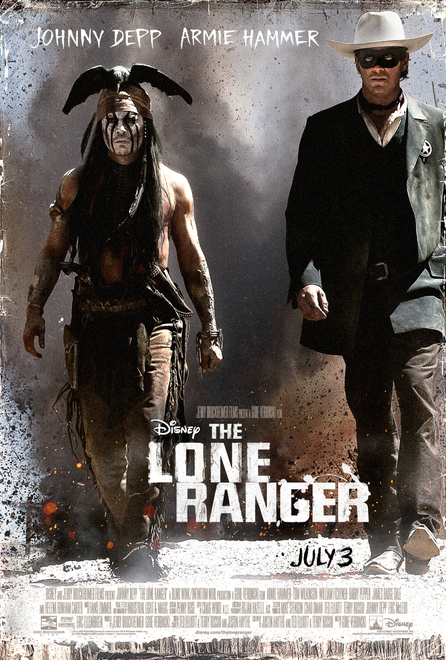 Allow me to preface this by saying I have not yet, as of this writing, seen Disney’s The Lone Ranger. I probably will eventually, but it’s looking increasingly like the sort of movie I can wait to get from NetFlix, one I’m not particularly looking forward to anymore. I love the character, though, and in my capacity as a fully-accredited Geek Pundit, I sort of feel obligated to see the movie in order to completely analyze what’s wrong with it. That said, this article is going to tell you what’s wrong with it. Well… not with the movie itself, I’ve got no intention of discussing the plot or performances beyond the snippets revealed in the trailers, but I’m going to discuss what I think went wrong in the production of this $215 million film that, in a five day opening weekend that included the Fourth of July holiday, only managed to scrape up $49 million. (It came in second to Universal’s Despicable Me 2, a $76 million film that pulled in $142 million in the same frame.) Most importantly, I’m going to talk about how the Disney studio is going to look at the weak performance of this movie, analyze the problem, and as they have done so often in the past, completely misunderstand what they did wrong. And that gets us to the root of Disney’s problem. In the last two decades, they have become increasingly identified as a studio that produces content that is more appealing to girls than boys (the various princess films, for instance, or the avalanche of girl-led sitcoms on the Disney Channel). There’s nothing wrong with making content that appeals to girls, of course, but all Disney sees is a gaping black hole where the money they want to get from boys and their parents should be. They’ve tried to combat this in multiple ways — changing their Toon Disney network to “Disney XD” and loading it with sitcoms starring boys, turning their 80s sci-fi film Tron into a modern franchise and, of course, purchasing Marvel Comics and Lucasfilm to exploit their superhero lines and Star Wars, respectively. The thing is, Tron: Legacy wasn’t a blockbuster either, and although the Marvel films have done extremely well, the general public didn’t walk out of The Avengers satisfied that they had seen a great Disney movie. Marvel has its own brand, and while Disney is perfectly happy to rake in the money from that success, they want a property they can put their own stamp on. 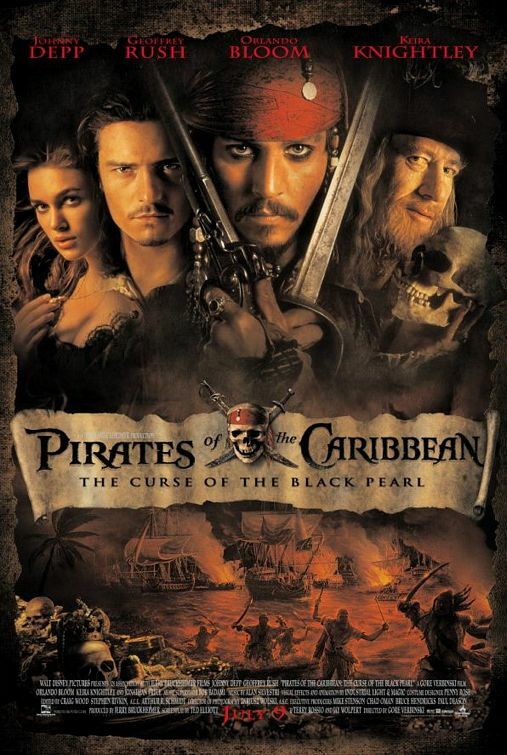 Arguably, the biggest success of Disney proper in the past decade has been its Pirates of the Caribbean franchise. To the Disney suits, this is a movie that has everything: swords and fighting and monsters for the boys, dreamy hunks like Orlando Bloom and Johnny Depp for the girls. (Note for the benefit of readers who happen to be my fiance: I’m not saying I personally believe in this incredibly sexist attitude. I’m saying that this is what a Hollywood suit sees when he tries to determine why a movie has made money.) What this exec fails to see is that the Pirates movies… well, the first Pirates movie, and to some degree the fourth one… are actually good movies. They’re fun, full of energy, exciting, and for the most part deliver what you expected when you saw the trailers. Monsters were abundant, adventure was had, swashes were buckled. Great. However, such violence is in keeping with The Lone Ranger. On the other hand, Depp seems to have imported his Captain Jack Sparrow shtick into Tonto, a character that traditionally is rather solemn and wise, and turned him into just another facet of the same clown Depp has been playing in assorted movies since the first Pirates film. So Disney took a franchise with an 80-year history, tweaked it enough that longtime fans won’t like it, but failed to change it enough so that the four quadrant “family” audience they keep chasing will buy into it. The result of Disney trying to make a movie that appeals to everyone is a movie that appeals to no one. Pixar notwithstanding, it’s virtually impossible to make a movie that will appeal to every possible demographic. In truth, it’s not even smart to try. Invariably, something that appeals to one group will turn off another group, so by trying to make something that everybody likes, you have to cut out pretty much everything that makes something interesting, original, or worth watching. This is why so many cookie-cutter action movies, romantic comedies, or brainless horror movies keep getting turned out over and over again. It’s the reason you can watch a brand-new movie and feel like you’ve seen it a thousand times before. The Lone Ranger could be an excellent movie if made properly: that is to say, made in a way that appeals to the existing fanbase and a potential new audience that would be into a western adventure. In the same way that some people try to argue that Superman is a character who no longer matters, some say the same about the Lone Ranger. These people miss the point — properties don’t last for three quarters of a century or longer if there isn’t something about them that matters in a timeless way. The Lone Ranger is, in fact, rather timeless — a man whose family is murdered and left for dead, then uses the anonymity of his “death” to seek justice. In many ways, characters like he and Zorro and the Scarlet Pimpernel are all prototypes for the modern superhero, and superheroes are huge at the box office these days. Why can’t they make that work? What’s more, the story is primarily one about a man’s search for justice, which is a major theme in many of the greatest westerns ever made. But westerns are an entire genre that, like the Lone Ranger himself, constantly struggle to prove they still matter. Every time we get a great western like True Grit, Hollywood has to balance it with a movie that feels like it has to “justify” the western by combining it with something else. 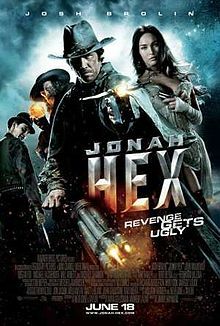 Take Jonah Hex, a comic book western about a Confederate soldier that turned against the south, was hideously scarred, and now makes his way as a bounty hunter. It’s grim and gritty and, when played properly, enormously engaging and dramatic. But when Warner Bros decided to make a movie out of the character, they decided a solid western wasn’t good enough and instead threw in a bunch of stupid supernatural elements ripped off from The Sixth Sense and The Crow, tossed out some steampunk weapons that didn’t belong there at all, and wound up with a film that ranks somewhere between X-Men: The Last Stand and Halle Berry’s Catwoman on the scale of comic book movies that are an utter disgrace to the source material. The Lone Ranger couldn’t “just” be a great western. It had to be a western that looked like a family comedy. And also had that dreamy Johnny Depp in it to get the girls to come. Let’s talk about Depp, by the way. It could be easy to get the impression, from this piece, that I hate Johnny Depp, and that’s simply not true. He’s a talented actor and he’s made some great movies. I’m just getting a little sick and tired of seeing him. He doesn’t have to be in every movie, and he sure as hell doesn’t need to play Tonto. Reportedly, when this film began having budget problems and was almost derailed, he took a big pay cut to ensure it got made. Good for him. He still shouldn’t have been cast as Tonto in the first place. Honestly, I’m of the opinion that most cases where an actor is cast against the usual race of an established character it’s something of a stunt, but there are times when it can be made to work. Laurence Fishburne as Perry White in Man of Steel, for example, was no big deal because Perry’s ethnicity isn’t really of any importance to his role in the story. Tonto, however, is a Native American Indian. This is vital to the character. And casting Johnny Depp in the part makes you unable to see Tonto at all — all you see is Depp in that goofy makeup he insisted on wearing, contrary to pretty much every interpretation of Tonto ever. Even if Depp had played the character completely straight, even if he’d done a remarkably faithful interpretation of Tonto, do you honestly mean to tell me that Disney couldn’t find one Native American actor in the country who could do the part just as well, if not better? Of course, then Disney couldn’t have promoted the film on Depp’s “star power.” Which of course, makes all the difference. Just look at the raging success of last year’s Dark Shadows, in which he turned a supernatural soap opera into a goofy 70s comedy. Smash hit, right? What should Disney take away from this? They should learn to make a good movie first, one that appeals to existing fans but also has the potential to grow the fanbase, and that they should make a movie that will be successful with a smaller group of people instead of a movie that fails across the board. They need to properly identify the audience that will enjoy this film and target it instead of trying to cut trailers that make the movie look like something it isn’t. They may not do Avengers numbers that way, but they could make movie that’s entertaining, profitable, and will have longevity.